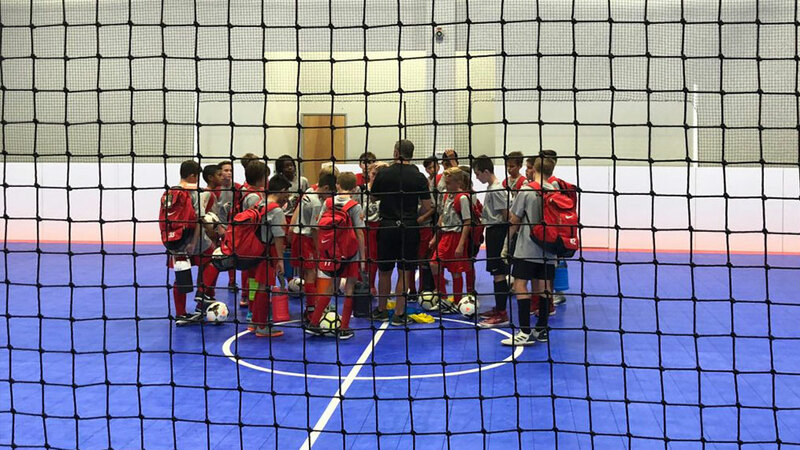 After researching the worlds top academies, we are convinced that training on a futsal field is the most effective way to develop a player's technical skills. Our FIFA-approved surface is fast, fun, and optimized for specialized training and competitive play. And with 70% less injuries than turf, it's also the safest. With a custom-built 15 foot bar, Soccer Hub isn't just about playing or training. Check out our lounge featuring a bar, comfortable soccer-themed seating, high-speed internet, and two 65-inch televisions. There is even a projection of the field action that provides an additional viewing option. In partnership with Wells Branch Soccer, Soccer Hub will offer Austin’s first all in one club providing indoor and outdoor training. For more information, please see our Elite page, or call us at (512) 358-4908. We feature some of the best training in town. Improve your skills & confidence through our hourly sessions or camps. We are a proud partner of Soccer Assist, a local non-profit aimed at increasing playing opportunities for under-served youth.